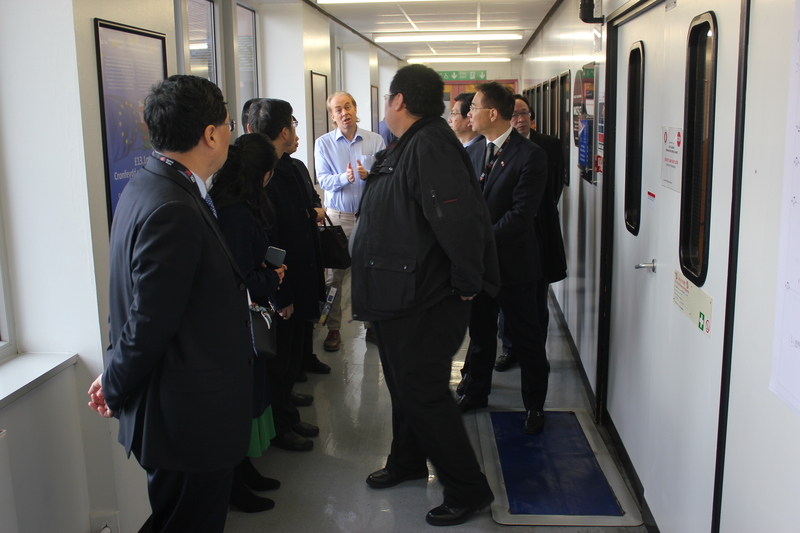 Cardiff’s Institute for Compound Semiconductors (ICS) has played host to officials from Chongqing Municipal Government in south western China. 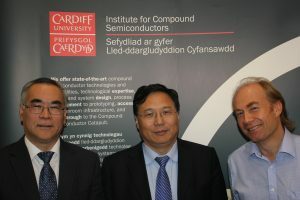 The party of ten delegates visited the University to get to know more about the business opportunities offered by the Compound Semiconductor cluster in South Wales. Hosted by Welsh Government, the visit brought together ICS Director, Professor Peter Smowton, and Chongqing Executive Vice Mayor, WU Cunrong, to explore ideas. The delegation also featured key-decision makers who will shape Chongqing’s future economic development, including economics and finance experts. “The visit gave us a golden opportunity to showcase Wales’ key strengths and highlight what Wales would like to do with Chongqing in terms of economic connection and further collaboration,” said Charlotte Fundalski, International VIP Visits & Events Protocol Officer with Welsh Government’s Office of the First Minister and Cabinet Office. In a short talk, Professor Smowton set out the opportunities available for businesses working with the ICS and CS Connected – the wider CS cluster. Professor Smowton explained how the ICS is dedicated to changing academic mindsets to focus on “manufacturable” research. The ICS provides a bridge between the research lab and the commercial world for one of the world’s key enabling technologies. “We do this by bringing industry and academia closer together,” said Professor Smowton. “Researchers and industry staff are co-located at ICS. We offer industrial style services on a commercial basis, supported by Fabrication Engineers. The ICS will eventually have small-scale, 4”, 6” and 8” (industrial scale) equipment and associated tooling, operated by highly skilled staff with industrial experience. He explained how working with ICS helps enterprises to develop integrated CS and Silicon (Si) manufacturing, reduce costs and increasing volume by applying the manufacturing approaches of Silicon to CS, such as generic functionality and scale-up.